The CARESCAPE Gateway takes patient data access to an innovative level by helping hospitals implement advanced clinical workflows and research. It offers easy, bi-directional data transfer between a Hospital Information System (HIS) and/or Clinical Information System (CIS) and patient monitors located on the CARESCAPE Network using the HL7™ protocol standard. The CARESCAPE Gateway automatically sends trended vital signs data to almost any charting or third-party system helping to save time and improve nurse productivity. 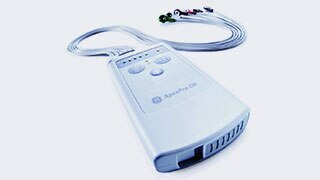 In addition, admission, discharge and transfer (ADT) data captured by a HIS/CIS can be sent to the CARESCAPE Network and its resident patient monitoring devices by the CARESCAPE Gateway, eliminating time and errors associated with manual data entry. Moving beyond HL7 data integration, the CARESCAPE Gateway allows users to access a near-real-time data stream of waveforms and numeric data for each patient monitored on the CARESCAPE Network. This data is provided in an XML-described binary format - helping give hospitals, physicians, nurses, clinical researchers and others the opportunity to improve patient care. Outbound vital signs in HL7: Provides outbound trended vital signs for CARESCAPE Network resident devices in HL7 with legacy abbreviated and IHE PCD-01 nomenclatures. Inbound admission, discharge and transfer (ADT): Accepts an inbound ADT feed in HL7 for creation of an ADT patient information cache with wildcard enabled query service for the CARESCAPE Network. Time Synchronization - Network time protocol (NTP): Enables network time synchronization to a hospital’s network time server to provide synchronized time across the patient monitoring devices resident on the CARESCAPE Network. High-Speed Data interface: Interface that provides near-real-time access to waveforms and numeric data in an XML-described binary format. Secured platform: Utilizes a hardened Linux** operating system to mitigate the threat of viruses and other malware being transmitted to the hospital’s network. 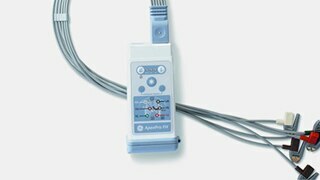 Extensive device capacity: Allows connectivity for up to 512 patient monitoring devices. Cloverleaf Interface Engine: Built-in Lawson Cloverleaf** interface engine allowing for HL7 flexibility. Inbound admission, discharge and transfer (ADT): Accepts an inbound ADT feed in HL7 for an ADT patient information cache creation with wildcard enabled query service for the CARESCAPE Network. Time Synchronization: Enables network time synchronization to a hospital’s NTP network time source to provide synchronized time across the patient monitoring devices on the CARESCAPE Network. Data integrity: Data integrity is support by both a data back-collection and a store and forward functions in the event of network disconnects or outages. Test Interface: Test interface data feed separate from “live” production server for CIS version testing. Assisted remote service: Enhanced remote diagnostic and service tools via Webmin and/or InSite** ExC technology. Built-in redundancy: Auto-redundant network interfaces. Hot swappable redundant power supplies.